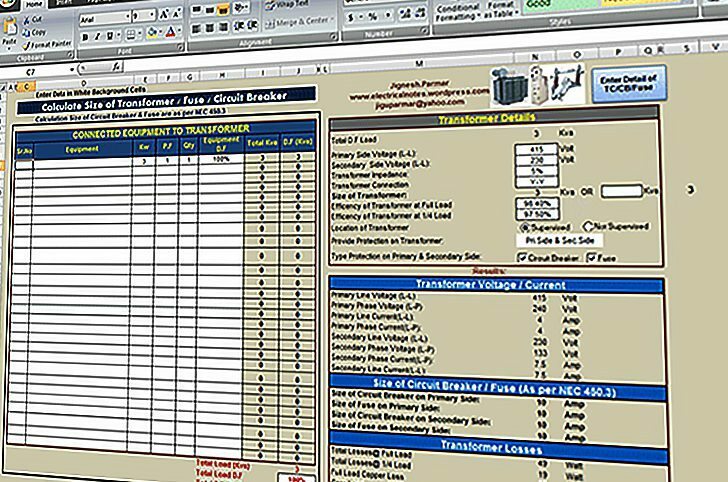 This technical article written by same author mr. Jignesh Parmar explains step by step NEC 450.3 (Transformer protection). hope to be fine all. What is mean by DF load in this page? How can we calculate the DF load? The ‘0.97’ is the stacking factor. The core is made up of Si steel/CRGO laminations due to which, some correction factor for the area is used. Since it is more than 800 or 1000A, it should be of ACB type. Is there any difference between this standard and those within the UK? I was just checking some State electricity Board inspection sheets on transformers. (Not related with spreadsheet) that while calculating the flux density of a transformer (MAX value is 1.600 T) a basic formula is used B=E(phase)/(A*4.44*f*N*.97), What is that .97 factor multiplied?? ?